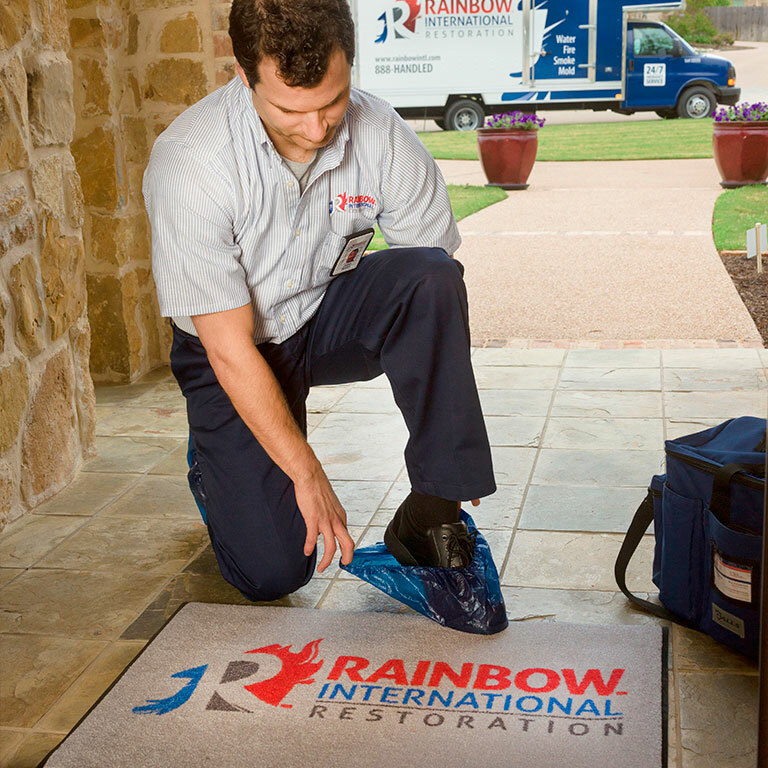 If your Canyon Lake, Texas home or business has suffered water, fire, or smoke damage the restoration experts at Rainbow International® are ready to help. From Water Restoration, Smoke and Fire Restoration, to Expert Carpet Cleaning, we do it all! Call us now at 830-981-2223. Many homes experience some sort of water damage, often the result of internal plumbing failures (i.e. hot water heater flooding, washing machine hose flooding or dishwasher flooding) or natural disasters like river flooding, severe storms and hurricanes. When water damage occurs, it is important to call a company that is well-trained and has the necessary restoration equipment and technology to completely dry your home as quickly as possible. Water damage is progressive and items that could be restored or salvaged within the first 48 hours of initial damage may not be if emergency response is delayed. At Rainbow International, we employ a well trained staff and use the highest quality water extraction equipment for all our flood water damage removal jobs. We are ready and available 24/7 to tackle your water damage emergency for any flood water removal situation in the Central Texas Hill Country communities of Boerne, New Braunfels, Comfort, Kerrville, Fredericksburg, Canyon Lake, Bulverde, Spring Branch, Schertz, Seguin, and Blanco. Rainbow International Carpet Cleaning knows that a healthy home starts with clean carpets. Nothing cleans more thoroughly or protects your investment better than the Rainbow Carpet steam cleaning method, also known as hot water extraction. For over 35 years, Rainbow International has employed expert technicians equipped with state of the art technology to insure your carpets are clean and free from harmful allergens and toxins. Has your home or business suffered damage from water, mold, fire or smoke? Regardless of what’s ailing you, the restoration experts at Rainbow International are here to help, offering debris removal, board-up and tarp-over services, drying, repair, reconstruction, and more. Our timely response, and courteous, honest, and skilled staff make us a preferred full service reconstruction service provider. Restore your peace of mind by calling for a free estimate today.